It’s no secret: The PELOTON magazine staff has a thing for watches. 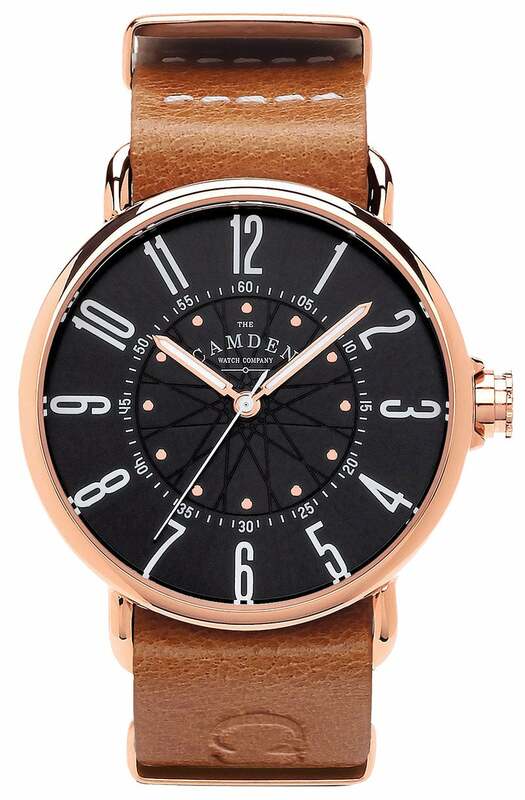 So when the Camden Watch Company got in touch to show us the No. 88 Camden x KPP project, we obliged. We talked to watch designer Anneke Short to learn more about the British company, based in Camden Town, London, and this special watch. Tell us how the No. 88 Camden x KPP project came about? Kitty Pemberton-Platt [who’s head of social media at Rapha Racing] has been a supporter of ours since day one, literally. She came into our first-ever pop-up and was the first person to ever mention our company on social media. From there, she then became an ambassador for the brand, helping us spread the word and share what we were doing. Kitty is an avid cyclist and her aesthetic fit so well with what we were doing. We ourselves love cycling, and it’s a pastime with a great heritage here in the U.K., so we had this idea to create a timepiece that would take inspiration from all things cycling-related. But we knew that we couldn’t do it alone, we needed this to be completely authentic, and we needed someone who lived and breathed cycling but who also had a keen eye for design. And that’s when we approached Kitty. What is your connection to cycling, if any? We really love cycling, but running your own business, certainly in the early days, doesn’t give you a huge amount of free time so we’re not able to get out as much as we would like. We designed jerseys for Camden Watch Company a few years back and sold them at cost price and we have our own small team in Switzerland who race for us. This year, we’re also really happy to announce that we are sponsoring Scarpa, a new, all-female racing team here in the U.K., of which Kitty is a member. We love your handwritten note and the message: “Camden, a place of no judgements. Where punks, goths, burlesque dancers and rockers find a place to call their own.” How does this ethos work its way into your watches? Thank you! The main idea that sits at the core of everything we do is the motto of Camden—“Not for one but for all”—the idea being that we want to create great, thought-through products at a price that people can actually afford. Camden is a place that is so inclusive and so accepting of people from all walks of life (“no judgements”), and we really try and embrace that in everything we do. From issue 75 of PELOTON. Buy it here.